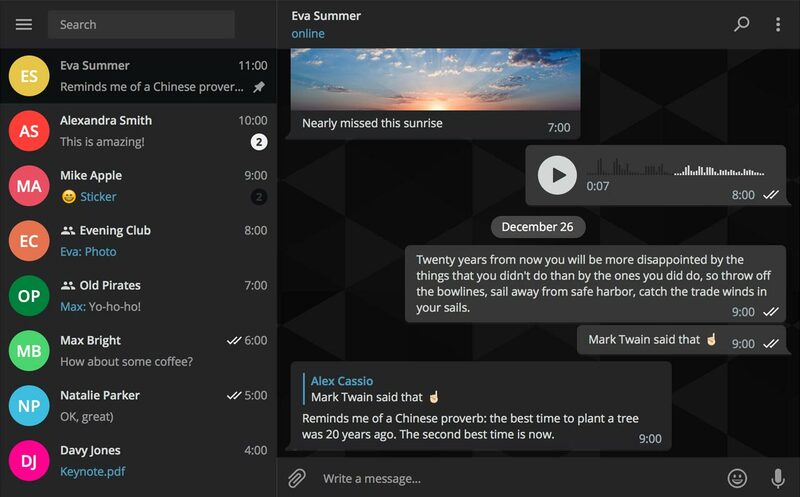 Telegram Desktop for your Mac or Windows PC graduates to version 1.0 today, adding a fabulous new design and support for custom themes! - Our native stand-alone desktop app was first released in 2013 and works on Windows, macOS, and Linux. - Telegram Desktop doesn't require a mobile phone to work. - It syncs existing messages from your phone with your computer using Telegram’s encrypted cloud. 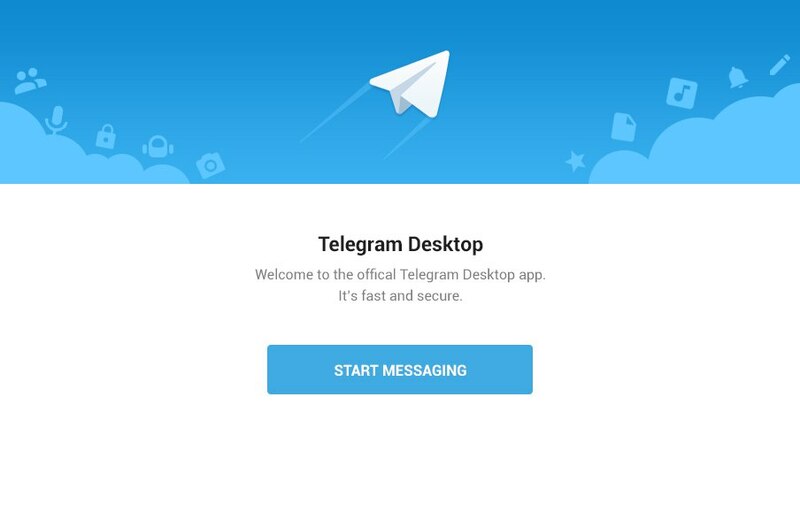 Telegram was available for desktops and laptops since 2013. Today it finally graduates to version 1.0 with a fabulous new design. 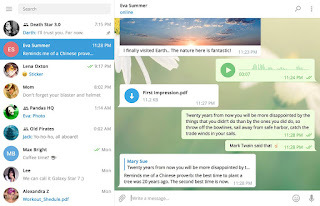 Consistent material design, great animations, and support for custom themes make Telegram for Windows, Mac, and Linux the tool for messaging from your Mac or PC. 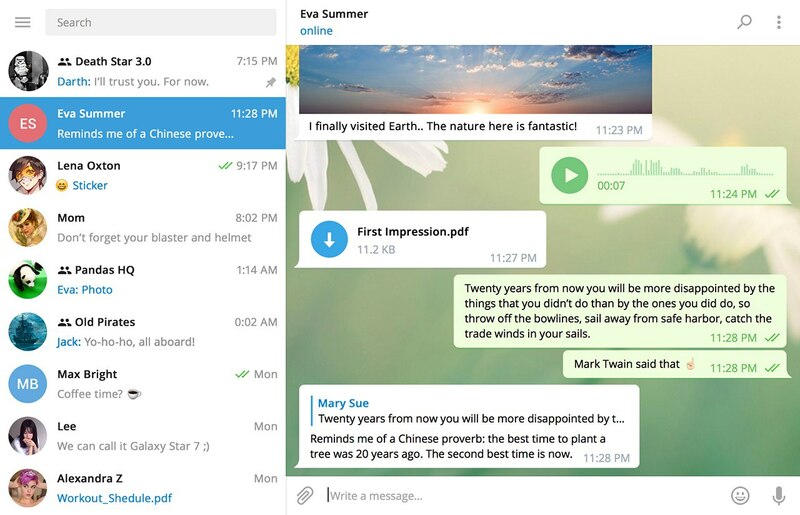 If you're looking for an alternative design, Telegram Desktop also supports customized themes. Anyone can make a theme for Telegram Desktop. This theme, for example, changes green outgoing messages to blue. And here’s a third-party night mode theme. What Else Makes Telegram Desktop Cool? 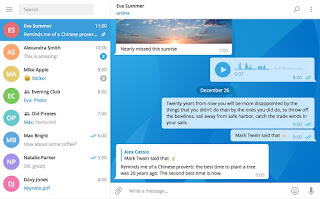 The best thing about Telegram Desktop is that it automatically syncs messages from your phone with your computer using Telegram’s encrypted cloud. Just install it and log in to your account! All your messages, documents, photos and videos will be synced for you from the secure cloud. Thanks to Cloud Drafts, you can even start typing on your phone, then continue on your desktop when you reach home or work. Who needs email now? Telegram Desktop is many times faster and handles attachments like a pro. Just share your t.me/username with those who want to reach you.